Our Poetry of Place book tour continues this week with Susan Ferrier in San Francisco with our friends at California Closets. 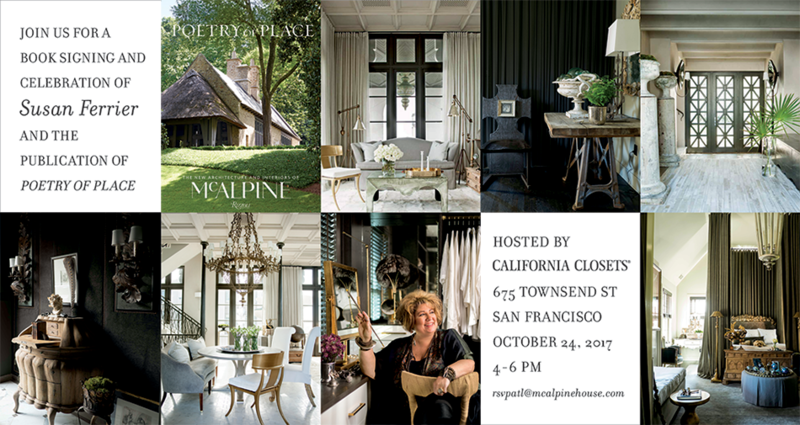 The event will take place at the California Closets Showroom at 625 Townsend Street, San Francisco from 4-6 PM . We would love to see you there! This past January, Susan’s own fabulous closet was featured in Veranda magazine. If you missed that, check it out here and here. Hope to you see you on the road! We are leaving San Francisco today. I wish we could be there.